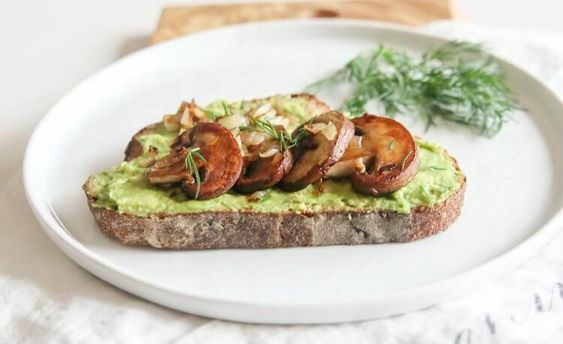 Those of you who votes 'yes' on my Instagram page for the combo mushroom and avocado, I present to you: the Avocado Mushroom Toast! If you take a look at the ingredient list, crimini mushrooms are listed. What are crimini mushrooms anyway? These are one of the common mushrooms we eat, the only difference it that they are a bit darker than the white ones. Crimini mushrooms are one of the rare foods that contain vitamin D. Vitamin D is plays a role in reducing depression and regulating mood. This vitamin also links to preventing heart disease and supporting weight-loss. The avocado is considered more of a fruit rather than a vegetable but is high in potassium and fiber and contains 33% more potassium than one banana. As for 1/2 of the onion, it is benefitcial for preventing tooth decay and other oral infections. Enjoy the toast! Heat up 1/2 Tablespoons light olive oil in a skillet. Add in 1 cup sliced Crimini mushrooms. 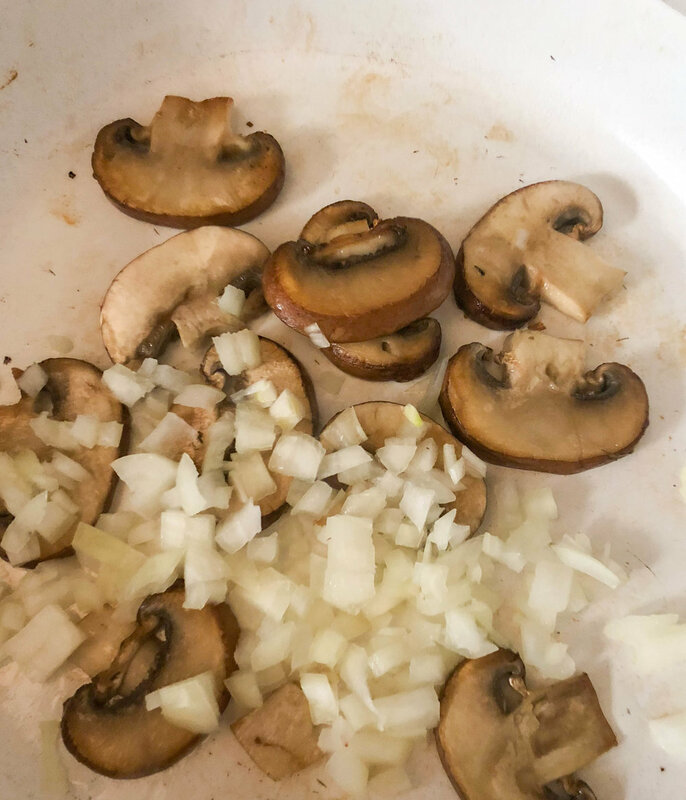 Add a pinch of sea salt, sauté till mushrooms begin to brown. Add in 1/2 chopped onion. Sauté till start to onion becomes transparent and soft. Mash avocado and a pinch of salt. Spread on bread. Add mushrooms on top of avocado.